On February 9th, Congress enacted the Bipartisan Budget Act of 2018, which renewed a wide range of individual and business tax benefits for 2017 that had technically expired at the end of 2016. The three most popular benefits affected by the renewal involve deductions for tuition, mortgage insurance premiums, and the exclusion of qualified principal residence indebtedness from gross income. To learn more about these benefits and how they could help you when filing your tax return, please contact a dedicated tax attorney who can address your questions and concerns. Which Tax Benefits were Retroactively Renewed? As of last week, the IRS officially reprogrammed its processing systems to handle tax returns for 2017, including those that claim recently renewed tax benefits. 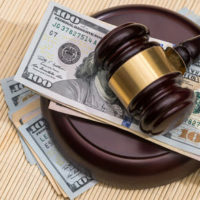 As a result of these changes, taxpayers can file returns without having to claim tax liability on mortgage debt that was forgiven by lenders in connection with foreclosures, short sales, and loan modifications. Without this benefit, homeowners would still be taxed on debts that are forgiven as though they were ordinary income. Similarly, the tax benefit that allows taxpayers to deduct their mortgage insurance premiums was extended to apply through December of 2017. This benefit applies to the millions of residents who pay mortgage insurance premiums on conventional, FHA, and VA loans. However, in order to qualify for the benefit, the home in question must be the taxpayer’s principal residence, rather than an investment property or vacation home. Additionally, the owners’ adjusted gross income must have totaled less than $100,000. Taxpayers can also make above-the-line deductions for qualified tuition and related expenses when filing their tax returns for 2017. Other useful tax benefits that were recently revised for 2017 include an extension that allows homeowners to receive a tax credit of ten percent of what they spend on certain improvements to their homes, such as installing insulation and energy-efficient windows, roofs, and doors. In fact, many taxpayers are also eligible to collect credits for installing high-efficiency heating and air conditioning systems, as well as water heaters and stoves that use biomass fuel. There are, however, limits to the amount of credit that taxpayers can claim for these improvements. Furthermore, only those taxpayers who installed qualified improvements in their principal residence before December 31st of last year will qualify for the extension of credit. Taxpayers who have already filed their federal tax returns for last year, but now wish to claim one of the renewed benefits can still do so by filing an amended tax return. Unfortunately, amended returns cannot be filed electronically and so can take up to four months to be processed by the IRS. The recently enacted tax benefit extensions could have a significant impact on taxpayers when filing their returns for last year. For help taking advantage of these and other tax benefits, please call Ronald Cutler, P.A. at 386-490-9949 for a free one-on-one consultation. We are available on weekends, as well as during the week, so please don’t hesitate to call or contact us online.